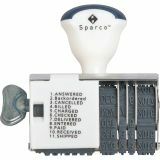 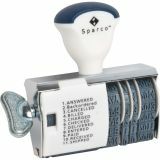 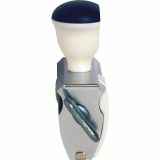 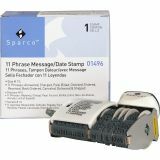 Sparco Rubber 11 Phrase Stamp - Dial-A-Phrase Dater shows 11 essential office phrases with a No. 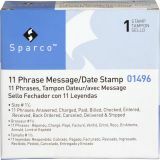 1-1/2 Line Dater. Phrases are Answered, Charged, Paid, Billed, Checked, Entered, Received, Back Ordered, Canceled, Delivered and Shipped. 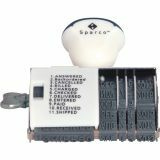 Date ranges from 2012 to 2023.